Renowned virologist and member of the prestigious National Academy of Science, Peter Duesberg has argued that AIDS is not caused by HIV, but is the result of recreational and anti-HIV drugs. 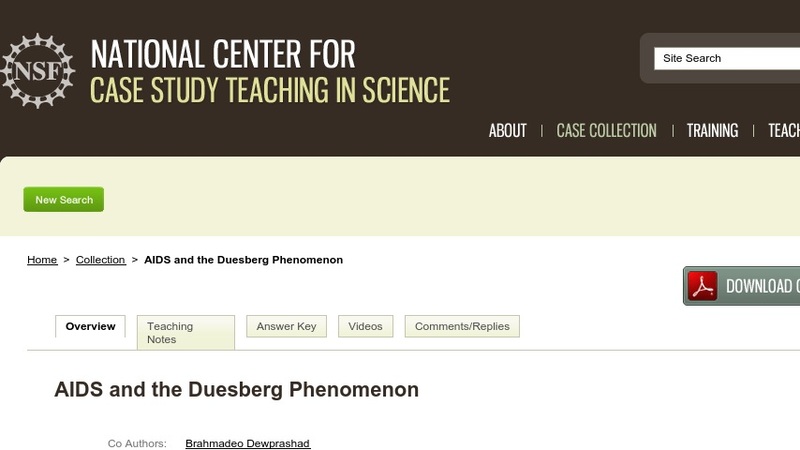 In this PBL case, students read Duesberg’s 1999 article in Science magazine titled “HIV is Not the Cause of AIDS” as well as a response to it titled “HIV Causes AIDS” by medical researchers Dr. William A. Blattner and colleagues. Students work in groups to identify the issues as well as any terms or concepts they don’t understand, then research these out of class to pool their information as they learn about AIDS and HIV.